Triceratops Trail is a 1.5-mile gravel hiking trail that winds between large, vertical walls of sandstone and into reclaimed clay pits. Along the trail are several stops highlighting clay mining as well as dinosaur, bird, mammal, insect, and invertebrate tracks and traces. There are also several walls full of plant impressions from the tree-lined, delta-like environment. 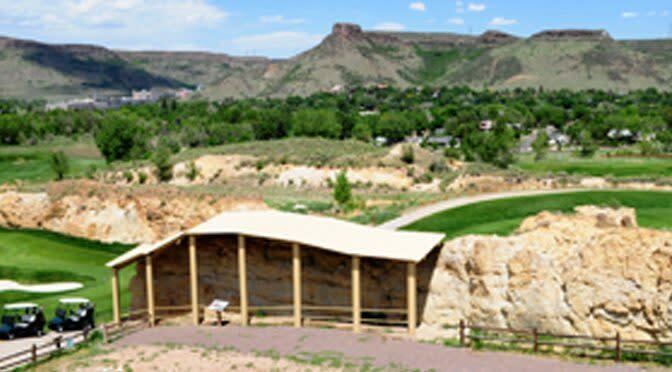 The trail is maintained by The Friends of Dinosaur Ridge, a non for profit 501C3 organization, that maintains a Visitor Center and two interpretive trails with the help of members, friends, family, donors and many grant-giving organizations. 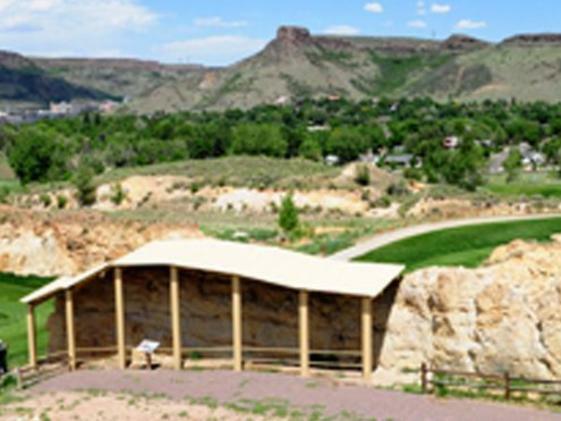 In 2011, the Triceratops Trail was designated by the Secretary of the Interior as a National Natural Landmark, adding to the already designated Dinosaur Ridge area in Morrison. PARKING: Street Parking. Access the trail one block East of 6th Avenue and 19th Street.